Get ready to take part in a thrilling murder mystery based on the popular classic board game CLUEDO from Hasbro. Search through the rooms of the mansion to look for bonus features and jackpots. You can even enjoy a truly authentic CLUE experience when you trigger the Spinning Detectives Bonus, enabling you to pick suspects, weapons and rooms just as you would in the traditional board game. There are plenty of ways to win and so many exciting features and clues to uncover! Embark on an adventure with Mr. Green, Mrs. Peacock and Mrs. White. You’ll find that there is the Main Reel Set and a Room Reel Set. When triggered, the Room Reel Set will replace the Main Reel Set. Once this set is active, you can trigger the different room features, such as the Conservatory Feature, the Billiard Room Feature, the Library Feature, the Kitchen Feature and the Dining Room Feature. Each one has different Wilds and if you land 5 scattered Magnifying Glass symbols, you’ll be awarded the room’s jackpot. 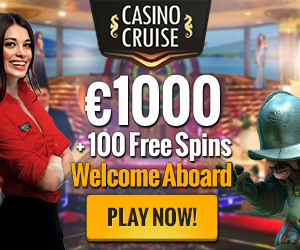 You can also trigger a Free Spins Bonus in CLUE Spinning Detectives by landing 3 scattered Mansion symbols on reels 1, 3 and 5 on the Main Reel Set, which will award 7 Free Spins. As for the Spinning Detective Bonus, this is triggered with 3 scattered Cards on reels 1, 2 and 3 of the Main Reel Set. Just like the board game you’ll pick 7 cards to reveal suspects, weapons and room cards that can award anywhere from 20x to 60x bet per line. Play Clue Spinning Detectives now and get the BONUS !